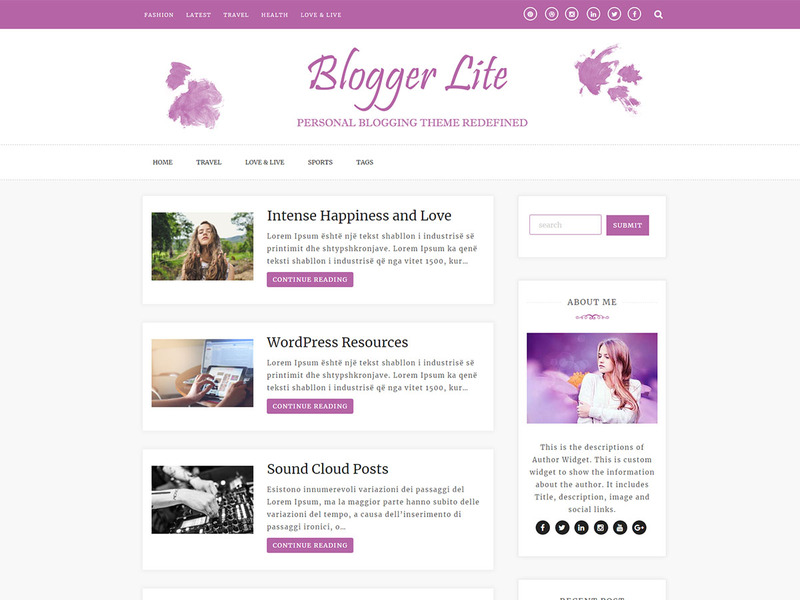 Blogger Lite is a WordPress blog theme with an elegant, carefully crafted design. The theme was designed with the ‘mobile first’ design, meaning it was designed for mobile from the beginning and was adapted for bigger screen afterward. This result in a beautiful experience for the users, on all devices. Blogger Lite is also SEO friendly. In addition this theme has added custom widget for recent post, author. Use this awesome WordPress theme for your blog site, you will never look for alternative.